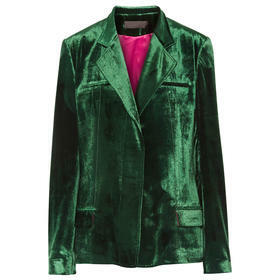 LONDON — ’Tis the season for wearing velvet — or so it would seem during a browse through the Notting Hill branch of the high-end boutique Matches. In the shoe section there was Saint Laurent (poppy-red strappy sandals), Malone Souliers (gold and red embroidered mules in black velvet) and Aquazzura (deep-blue ankle boots), while handbags included clutches from Bottega Veneta in its classic intrecciato pattern in both cotton-candy pink and baby blue, and a gold spider-embroidered clutch in dark green velvet from the Turkish designers Sanayi 313. Velvet has become all but ubiquitous this season for a variety of reasons, not the least of which is its warm and cozy feel, a kind of tactile barrier in a world that seems to grow more tumultous and uncertain every day. Plus, fashion has moved away from the minimalist look of the past few years and toward more nostalgic looks like longer dresses and shawls. The fabric has long been associated with royalty, like in images of Queen Elizabeth I of England or Catherine the Great of Russia parading through their palaces in velvet finery. The cost was linked to the expensive Chinese silk traditionally used to weave velvet. 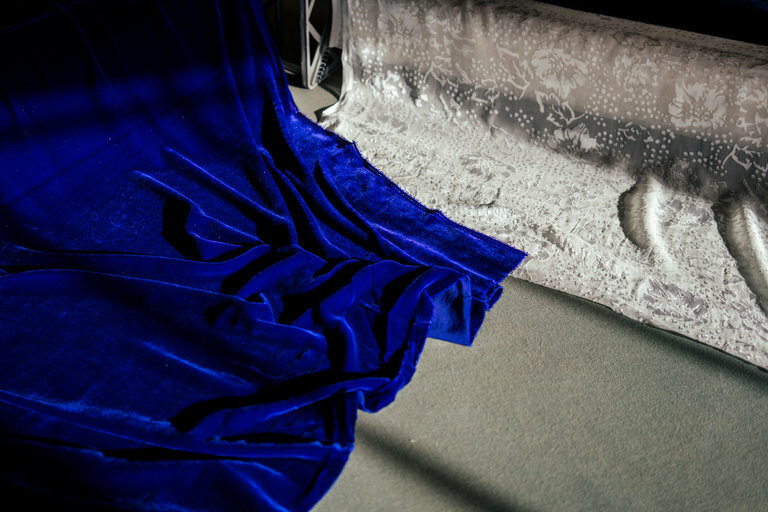 But today a mixture of fabrics, such as viscose, wool and rayon, can be added to silk, and many kinds of mixed-material velvet actually can be hand washed and then tumble-dried to bring the pile back up and restore the softness. Also, fabric makers and designers have been experimenting with colors like pink, blue, yellow and orange, not the sort of hues traditionally on velvet’s palette, turning the fabric into something that is no longer solely for formal occasions. “It’s wearable from desk to dinner,” said Emma Waldmann, Reiss’s head of women’s wear buying and merchandizing, when discussing the little black velvet dress in the brand’s current collection. And Ms. Charrière recommended keeping any look involving velvet minimal and basic. “Wear a blazer with frayed jeans, make it super-modern and fresh or with a miniskirt and T-shirt,” she said, adding that one of her favorite jackets this season is Haider Ackermann’s kelly-green velvet jacket. Unwrapping a gift is always a treat, but it could be made all the more special if it’s made from velvet.